I've seen three different styles of jack shaft in 73 blizzard twins. One is the webbed style that runs across the chassis as you would see in the larger blizzards. Another has two separate brackets no conjoined parts like the first one mentioned. The break mounts high on the chain case. The other is the same as the second but the brake mounts low on the chain case. Which one is proper for the twin style blizzard? Do they vary between cc? I have seen a very nice original 340 winter sled with the two separate brackets. I have also seen a 340 being raced with the webbed style. I would be curious to see if anyone had a 340 with the small webbed one, for I haven’t out the ones here in the Midwest. I wonder why they didn't put a webbed style on the 440s and 340s. 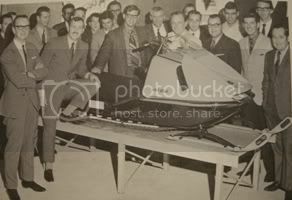 Ive heard that the sleds where manufactured from biggest to smallest CC wise. Maybe they didn't add them on till the 440s started having bulkhead issues. Would the small webbed style fit on all the rv style blizzards? John, what do you mean by the "RV style Blizzards"? 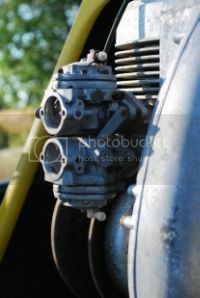 Also, I should note that the small webbed style on the 298 had the unique small spline gear end on the jackshaft - which were a pain at the races, for they used a special top gear that always seemed to be mixed in with the" normal" gears in the tool box - lol. By RV i mean the twin style rotary valve 73. Would that jack shaft fit the 340 and 440 with out modification?